The U.S. Department of Education provides federal student aid information and outreach tools for counselors, college access professionals, nonprofit mentors, and others. Federal Student Aid's college preparation page for middle school students includes information about preparing for college, including checklists and exploring career options. Public service announcements in English and Spanish. The Form Your Future campaign is specifically focused on assisting low-income, minority students who would be the first in their family to attend college. 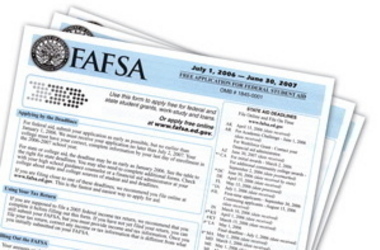 The campaign website provides helpful free resources to volunteers and educators who want to provide one-on-one assistance on completing the FAFSA to students and their families, as well as ideas on how to spread the word and get others involved in the effort to encourage millions of students nationwide to apply for financial aid.